Next May, voters of Europe will be able to choose the next European Parliament. All of them? No. Persons with disabilities are still left behind. Thibault will not be given a vote because she is considered not able to understand politics. 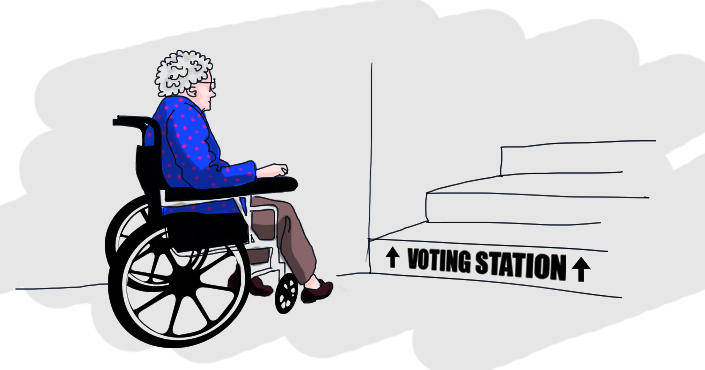 Mindaugas will not be able to get in the voting station because it is not wheelchair accessible. Olga will not be able use her vote because the information and process is too complicated. Loredana cannot read the candidates on the electronic voting machine, so she will never know if she voted for her candidate. Millions of Europeans won't be able to vote next May due to inaccessible elections. That is wrong. They must have their say. There are easy solutions to fix it. Use them. The right to vote is an essential par citizenship - depriving a group of people from it is blatant exclusion. This needs to change - inclusive elections now! Voting is one of the most sensible things to do in a democracy. The EU should be an example for all member states on how to include people with disabilities in all Areas of Society - voting is a key area!